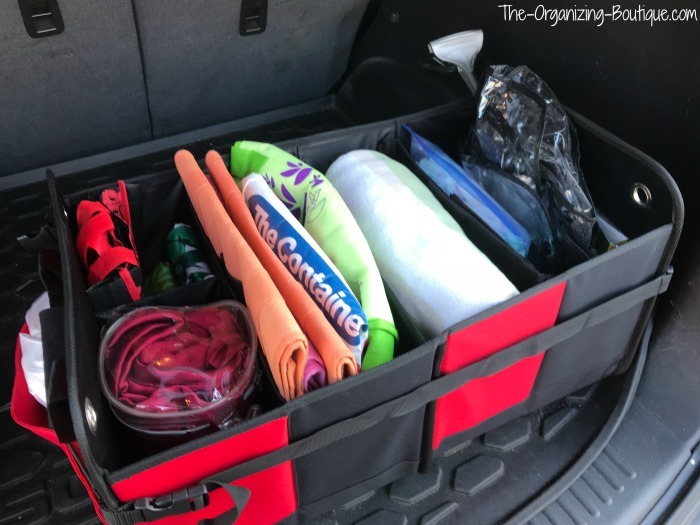 "It's time to get a car trunk organizer," I quietly thought to myself as I looked at the items floating around the back of our car. I was excited. However, I know that most people don't have such a positive reaction to a messy situation that adds things to do their to do list. With that in mind, I've put together this blog post for you in hopes that it makes your organizing project a little easier. 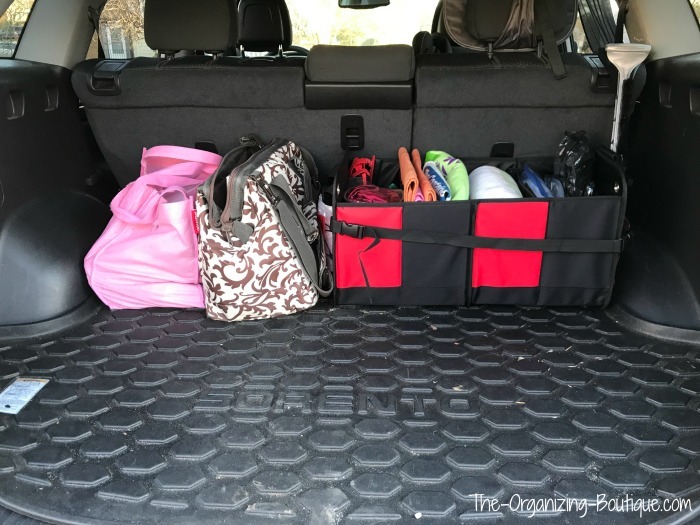 You'll see which trunk organizer I purchased and how I employed it. Good luck and happy organizing! This is how my trunk looked. It was fairly organized using various bags, but add a stroller to the empty space in front and there's a lot going on. 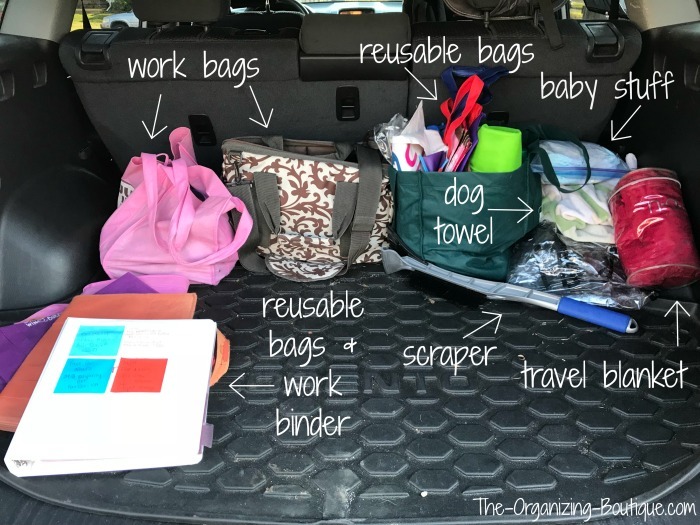 As you can see in the photo below, there are several categories of items that live in my trunk - work items, reusable bags, baby gear, dog stuff, and car things - and I'm guessing that the amount of things stored in the car will only grow as our family does. These categories were sorted into their own bags, but of course without a structure, stuff started floating around the trunk and it was hard to get to things. 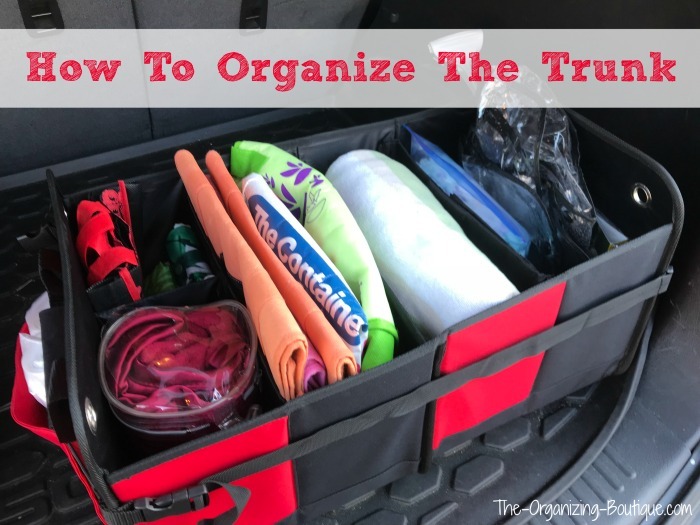 In order to organize the space better, it would require an actual trunk organizing product. 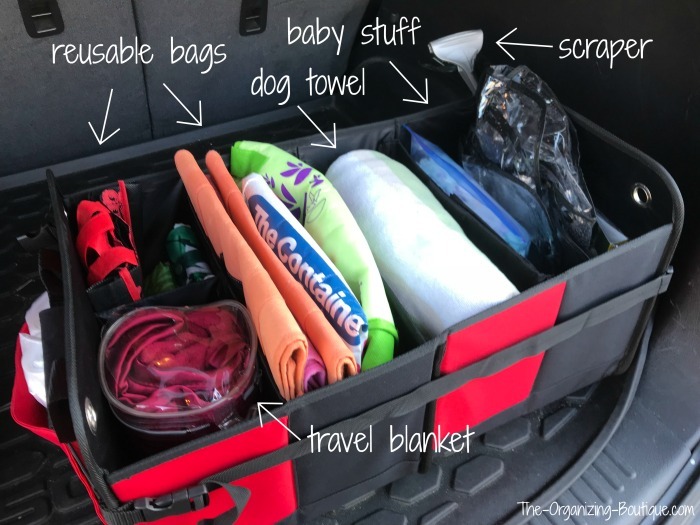 I did some research on Amazon and found several highly-rated car trunk organizers. As you can see in the photo below, I ended up going with the Trunk Pak and I'm so glad I did. 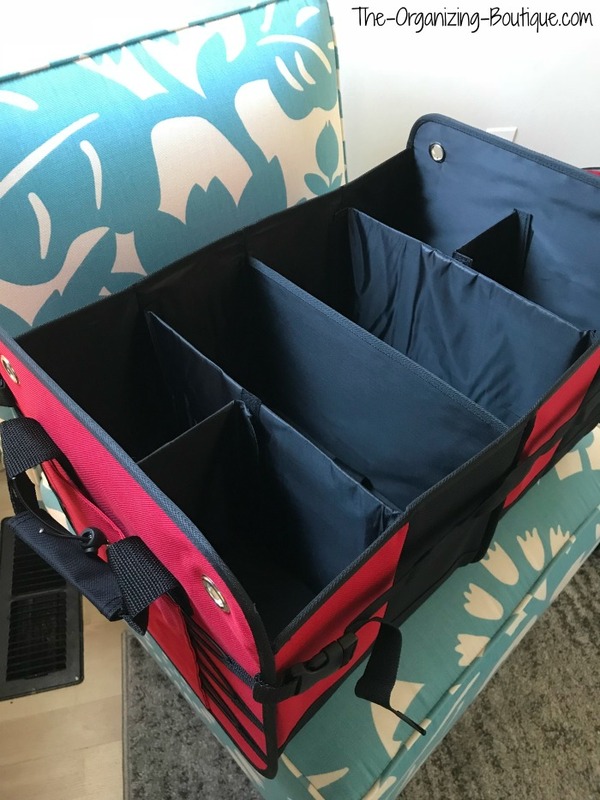 This particular car trunk organizer is very sturdy, has movable partitions so I was able to customize the size of each section, has handles which makes it easy to move and I love that it's red (and not the standard black). I did a small purge of the items in the trunk to make sure that what I was storing was actually necessary and useful. There wasn't much to get rid of, but I did pare down the amount of reusable bags. After I did my little decluttering session, each category got its own section or pocket of the trunk organizer, and it all fit beautifully. Now the trunk is clutter-free and looks fabulous! There's more space, and it is so easy to get to things. This little investment of money and time has paid off and continues to do so. Woohoo!